Larry Grumer, Co-founder & CEO exhibited and presented at the "Dancing with the Startups" competition at the Global Board Meeting Summit on October 1, 2017 in Washington, D.C.
Sherry Handel, Co-founder & COO selected as a Semi-finalist in the Babson Breakaway Challenge competed on September 23, 2016 in Boston for a spot as a finalist for the $250,000 cash prize plus in-kind marketing services and other prizes. Energy Harvesters LLC showcased as an IDEA: Northeastern University Venture Accelerator company on November 19, 2015 at NEXPO: Northeastern University's Entrepreneurship Expo in Boston, Mass. On October 28, 2015 we showcased at the MassChallenge Final Awards Ceremony at the Boston Convention and Exhibition Center in Boston, Mass. Larry Grumer, Co-founder & CEO exhibited and presented at the Bright Buffalo Niagara Entrepreneur Expo on October 28, 2015 at Statler City in Buffalo, NY. On October 14, 2015, Sherry Handel, Co-founder & COO presented and exhibited at the Female Founders: Mass Innovation Nights (MIN #79) event at District Hall in Boston, Mass. We won the Grand Prize for "Favorite Product" at this sold out event (over 1,000 registrants), which was co-located with Innovation Women's Women Entrepreneurs Evening – an event featuring Boston's top organizations that support women entrepreneurs. Thanks to everyone who voted for us to secure a speaker spot! Larry Grumer, Co-founder & CEO exhibited on October 5, 2015 (National Manufacturing Day) with "...some of the highest-impact hardware startups" at the MADE@MassChallenge Hardware Startup Showcase held ​at MassChallenge in Boston, Mass. Sherry Handel, Co-founder & COO exhibited on September 9, 2015 at the Women in MassChallenge Networking & Showcase Night at MassChallenge "...where female-founded finalists showcased their startups to the community and connected with other amazing women taking the startup world by storm". 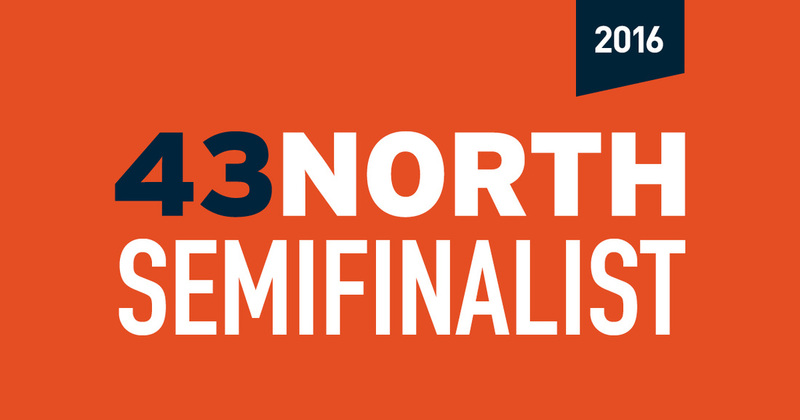 On July 29, 2015, Energy Harvesters LLC was selected as a 2015 Semi-finalist in the 43North: $5 Million Business Idea Competition. Energy Harvesters LLC joins cohort of 128 MassChallenge 2015 Finalists showcasing at the MassChallenge Boston Startup Showcase on July 29, 2015 at the Seaport Hotel in Boston, Mass. On May 20, 2015, Energy Harvesters LLC was named a Finalist in the MassChallenge 2015 Accelerator Program. During the four-month accelerator program we were provided with; free office space at MassChallenge in Boston, expert mentors and other resources to assist us in accelerating the growth of our company. Energy Harvesters was one of the featured companies presenting at Pitch NSI in Boston on May 20, 2015. Co-Sponsored by MassChallenge, TandemNSI, TechStars, Bolt, and Xconomy. Energy Harvesters LLC showcased as an IDEA: Northeastern University Venture Accelerator company at NEXPO: Northeastern University's Entrepreneurship Expo (over 600 attendees) on November 20, 2014 in Boston, Mass. Sherry Handel, Co-founder and COO presented as a Top 10 Finalist (over 100 applicants) in the Female Entrepreneur Challenge business plan competition on September 12, 2014. Sponsored by Care.com and the Center for Women & Enterprise in partnership with the Boston Business Journal. Energy Harvesters LLC was selected to exhibit and present at Tech Cocktail's Boston Mixer & Start-up Showcase on September 11, 2014 in Boston, Mass. Energy Harvesters was voted the Mass Innovation Nights (#MIN66) Showcase Winner on September 10, 2014. We won the Grand Mass Innovation Nights Award by attendee votes and American Airlines round trip tickets. Sherry Handel, Co-founder and COO presented and gave a demo of the Walking Charger™ at the Boston New Technology Product Showcase on August 19, 2014 at the IBM Innovation Center in Cambridge, Mass. Energy Harvesters LLC was selected as a 2014 Semi-finalist in the 43North: $5 Million NY State Business Idea Contest. On July 15, 2014, Energy Harvesters LLC was selected to advance to Phase 2 of the Verizon's Powerful Answers Award. Energy Harvesters LLC was selected as 1 of 60 start-ups to participate in the UNPITCH entrepreneur and investor connection event presented by the New England Venture Capital Association on June 24, 2014 at Communicspace in Boston, Mass. Larry Grumer, Co-founder and CEO organized and moderated the "Wearable Electronics – Devices and Application Innovation: Human to Machine" panel at The EntreTech Forum on June 17, 2014 in Waltham, Mass. Energy Harvesters LLC won the Audience Vote in the "Tech/CleanTech" category of the Global Pitchfest Competition. Co-founder and CEO, Larry Grumer presented to an audience of over 200 people and to judges in the final round on June 16, 2014 at District Hall in Boston, Mass. Energy Harvesters LLC was a Finalist in the Boston TechJam –"Pitch Heard 'Round the World Competition". Co-founder and COO, Sherry Handel presented to a panel of leading Boston investors and an audience of 800 on June 12, 2014 at Faneuil Hall in Boston, Mass. Energy Harvesters LLC was selected as Runner-up by Audience Vote in the "High Tech/Scalable Pitch Contest" at the Sandbox Summit 2014 "High Tech/Scalable Pitch Contest". Co-founder,and COO Sherry Handel presented to the audience on June 10, 2014 at UMass Lowell Inn and Conference Center in Lowell, Mass. Energy Harvesters was selected as a Finalist in May 2014 to advance to the finals and present to the audience at the Sandbox Summit. Sherry Handel, Co-founder and COO presented and demonstrated the Walking Charger™ innovation at the Tech in Motion – Boston: Spring Forward Demo Showcase on April 29, 2014 in Boston, Mass. Larry Grumer, Co-founder and CEO presented on "Designing the Next Generation of Wearable Devices" panel at the MIT Enterprise Forum of Cambridge on March 20, 2014 in Cambridge, Mass. On December 24, 2013, Energy Harvesters won the Tech Cocktail Reader's Choice Vote (capturing nearly 80% of the votes in online poll) as the hottest showcasing startup in the Energy category in the Boston Challenge Cup. Energy Harvesters was selected as Runner-up by judges in the "Energy" category as the hottest start-up at the Boston Challenge Cup held on December 18, 2013. Energy Harvesters won the Audience Vote (over 700 attendees) for best start-up at the TechCrunch Boston Pitch-Off on November 13, 2013 in Boston, Mass. Energy Harvesters LLC was selected as a Top 4 Finalist in The Venture Forum – Business Plan Contest and presented to the final judges on November 12, 2013 at WPI in Worcester, Mass. Sherry Handel, Co-founder and COO was selected as a Top 10 Finalist (over 100 applicants) and competed in the Female Entrepreneur Challenge on October 3, 2013 in Dedham, Mass. July 30, 2013 Democrat and Chronicle Photo: Energy Harvesters' Co-founder demonstrates the Walking Charger technology at High Tech Rochester event. Energy Harvesters LLC won the "Coolest Company EVAH" prize by audience (400 attendees) votes at the MIT Enterprise Forum Cambridge – "In-NOW-vation Tech Showcase & Celebration" event held on April 25, 2013 at the Microsoft New England Research and Development Center in Cambridge, Mass. On April 16, 2013 Energy Harvesters LLC was selected as the Runner-up in the Haverhill Hardware Horizons Challenge and has benefited from mentors, resources and other support. We won free electronic prototypes, materials and additional mentoring. Energy Harvesters LLC was a Finalist in the Village Capital / VentureWell: Boston Program accelerator and engaged with peers in an intensive program starting November 29 in Boston, Mass. and ending on March 9, 2013. Energy Harvesters LLC was a Semi-finalist in Cleantech Open's Northeast Regional 2012 Competition and the Co-founders participated in the 2012 Accelerator program. We were assigned top-notch business and legal mentors and had access to a full range of programs and events to support the development of a viable and sustainable cleantech business. Energy Harvesters competed in the final round of Cleantech Open's Northeast Regional Competition on October 9, 2012. Energy Harvesters LLC won 1st Place in the Merrimack Valley Sandbox "Technology Pitch Contest" on May 30, 2012 in Lawrence, Mass. and competed in the Sandbox Idea Launch Winner's Showdown final round on October 18, 2012 at UMass Lowell. Energy Harvesters LLC won 2nd Place at the Ultra Light Start-ups Future Energy – Investor Feedback Forum in Cambridge, Mass. on May 14, 2012. Energy Harvesters was 1 of 8 companies selected out of 100 applicants to present. Energy Harvesters LLC was a Finalist in the WPI Venture Forum 5-Minute Pitch Contest on June 14, 2011. Energy Harvesters LLC was selected to present as a Semi-finalist in the MassChallenge 2011 Competition held in Boston, Mass. on May 16, 2011. Over 700 start-ups applied and 300, including Energy Harvesters LLC were selected to advance to the 2nd round.